Virginia Governor Restores Voting Rights To Felons, Again : The Two-Way Terry McAuliffe says felons have paid their debt to society and deserve enfranchisement. Republicans say he is trying to increase Democratic voter rolls for November. Virginia Gov. Terry McAuliffe announced that his administration would individually restore voting rights to 13,000 felons who have served their time. Last month, the Virginia Supreme Court ruled that McAuliffe lacked the constitutional authority to enfranchise more than 200,000 felons en masse. Virginia Gov. Terry McAuliffe renewed his efforts to restore the voting rights of felons in his state, announcing that his administration would process applications for 13,000 felons so that they might vote in November. The move comes a month after the Virginia Supreme Court ruled that governors cannot restore felons' voting rights en masse. In April, McAuliffe had issued a sweeping executive order enfranchising more than 200,000 people who have served their sentences and completed parole or probation. The state Supreme Court, in a response to a lawsuit brought by Republican lawmakers, ruled that the governor lacked the constitutional authority to restore voting rights in such a broad action. 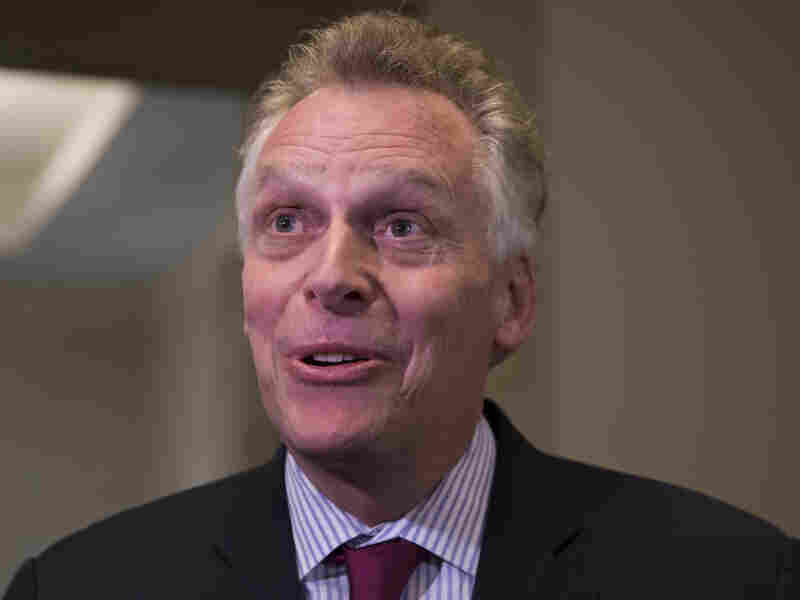 After that ruling, McAuliffe said he wouldn't be deterred, promising to initiate the time-consuming process of individually restoring rights to all eligible felons. "These individuals are gainfully employed. They send their children and their grandchildren to our schools. They shop in our grocery stores and they pay taxes. And I am not content to condemn them for eternity as inferior second-class citizens," McAuliffe said at the Civil Rights Memorial in Richmond. Late last week McAuliffe's staff began mailing out letters to 13,000 felons informing them that their voting rights were being restored along with instructions on how to re-register to vote. They were selected because they were the first to register after McAuliffe made his original announcement in April. Their names had been struck from voter rolls as a result of the state Supreme Court's ruling. The governor's office also outlined the process for restoring voting rights to another 193,000 felons. McAuliffe has insisted that denying felons the right to vote is a vestige of Jim Crow laws designed to suppress the electoral power of African-Americans overall. Republicans say McAuliffe is trying to pad the rolls of potential Democratic voters who would support presidential candidate Hillary Clinton in November. GOP House Speaker William Howell promised that lawmakers will closely monitor McAuliffe's actions.